I baked you a pie. 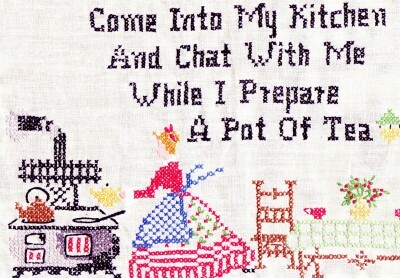 Come into my cabin kitchen for a slice and a chat by the wood cookstove. My West Virginia grandmother, Maudie, taught me to make pies and biscuits and to garden, can, and hang my laundry to dry in the fresh mountain air. Standing elbow-to-elbow at her big white enameled drainboard sided sink is where I learned how to cut a sugar cookie, what seeds to plant, how to get (and keep) a man, and that rum doesn’t count as alcohol if it’s drenching your fruit cake. When I was 21, I moved into what would become a long succession of off-the-grid 19th century dilapidated farm houses in rural southwest VA, complete with chickens, pigs, bunnies, bees, and a donkey. With a well bucket in one hand and a chainsaw in the other, I made myself a home-spun life. 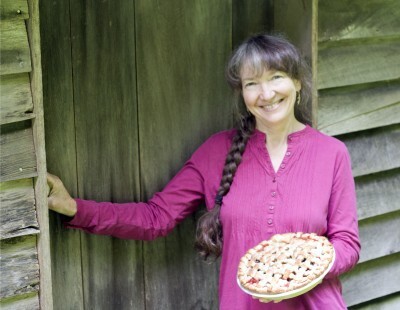 Inspired by those homesteader years, the women in my family, and my many elderly Appalachian farm women friends, I’ve spent a lifetime learning about old-timey cooking, home-making wisdom, and heirloom gardening and gathering. And that’s what I’m sharing with you … in my blog and in my cooking classes and cookbooks. The teakettle’s whistling, let’s eat that pie!